Get your hands on the No. 1 best-selling sheet masks in Asia! Founded way back in 1934, Dr. Morita sheet masks were created 20 years before the world went crazy for them! No wonder it's recognized especially in the region for making affordable yet quality skin care products. In fact, their best-selling Hyaluronic Acid Essence Masks has recently won the Silver Award from the Monde Selection, an independent consumer product evaluating body. I was invited to the grand press launch last week and was able to learn so much not only about the Dr. Morita brand but also about proper skincare from Dr. Chun Hsu Jou. The Taiwanese doctor, Dr. Jou, is the CEO and Head of Research and Development of Dr. Jou Biotech, makers of Dr. Morita. Now you may be wondering why the brand sounds so Japanese. It's because the brand was born after Dr. Jou's grandfather visited the Shiseido factory in Japan in 1959. The family owned the Morita Department store which specialized in skin care products for decades. Later on, the next generations turned to formal medical training and even set up a research center in Japan. By the year 2000. 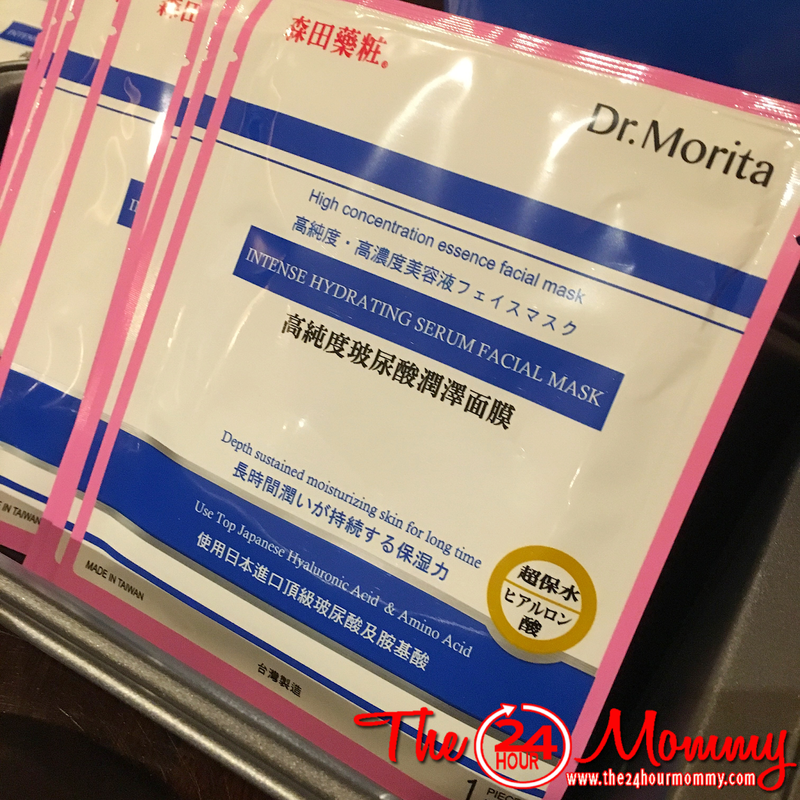 Dr. Morita sheet masks were developed in the said facility. Dr. Jou also studied in Japan so it's just natural that he was able to incorporate a lot of Japanese techniques aside from the many other techniques he learned from around the world. Today, Dr. Jou Biotech has products available in over 30,000 sale sites worldwide including Singapore, Malaysia, Vietnam, Thailand, and now, the Philippines! Dr. Morita Intense Hydrating Serum Facial Mask - sustains long-lasting skin moisturization afforded by Japanese Hyaluronic Acid. It also contains skin-caring Niacinamide, Allantoin, Squalene, and Ceramides. Dr. Mortia Triple Hyaluronic Acid Moisturizing Essence Facial Mask - Its large, medium, and small Hyaluronic Acid moleules deliver lasting hydration to all layersof the skin. Among its 11 Amino Acids are Arginine, which helps brighten the skin by repairing visible skin damage, and Glycine and Proline which help smooth fine lines and wrinkles. 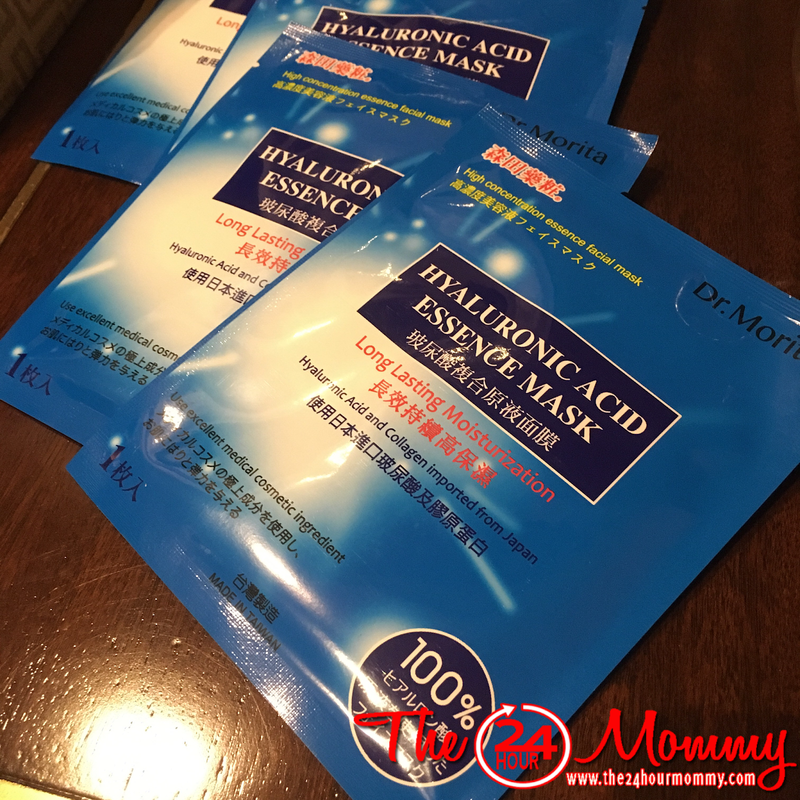 Dr. Morita Whitening and Moisturizing Essence Facial Mask - Hydrating Japanese Hyaluronic Acid combines with Mandelic Acid imported from Germany. Mandelic Acid is one of the gentler Alpha Hyroxy Acids (AHA’s) around, making it a great option for easily sensitized skin. It also contains various plant, flower, and root extracts to soothe, hydrate, and brighten skin. 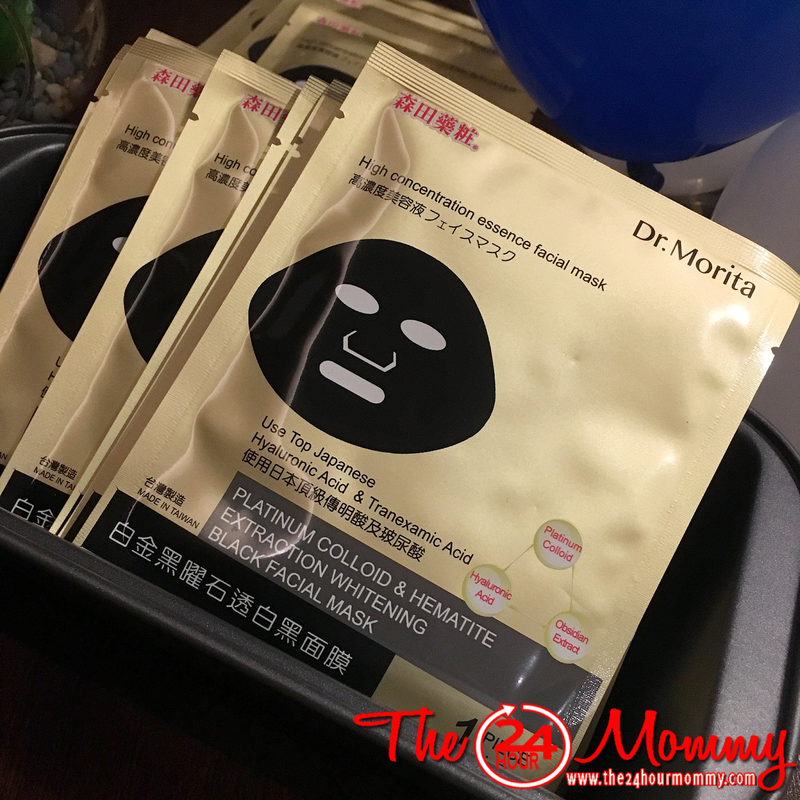 Dr. Morita Platimum Colloid and Hematite Extraction Whitening Black Facial Mask - Japanese Tranexamic Acid and multiple herb extracts whiten while Hyaluronic Acid gives deep hyrdation. Meanwhile, iron-rich Hematite and Obsidian Extracts help tone, regenerate, and strengthen the skin. Antioxidant-rich Platinum Colloid helps fight skin aging. 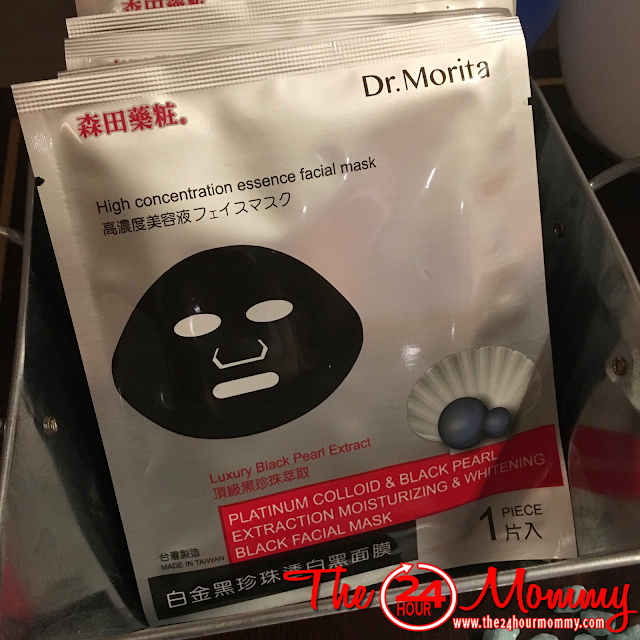 Dr. Morita Platinum Colloid and Black Pearl Extraction Moisturizing & Whitening Black Facial Mask - Hyaluronic Acid hydrates while Platinum Colloid’s antioxidant content prevents skin from premature aging. Black Pearl Extract has been part of ancient Chinese medicine and skin care because this calcium-rich pearl powder helps detoxify, promote cell renewal, and enhance skin elasticity. Tranexamic Acid and mutiple herb extracts provide whitening properties to this sheet mask. Cleanse your face. Apply mask on the face and leave itfor 10-15 minutes max. Dr. Jou said that having a sheet mask on your face for more than teh recommended time might dry it instead of hydrate it. After removing the mask, gently massage the face area for the essence to be fully absorbed. No need to rinse it off. The sheet masks already have toner, serum, and lotion. If you have dry skin, you may choose to still add moisturizer after. Use the sheet masks before going to bed for a revitalized skin the following day. Use the remaining sheet mask essence on your neck, elbow, knees, palms, and soles. Dr. Morita sheet masks are available at Watsons and SM Beauty for only Php 74 each. Hope you try it and let me know how it worked for you! Like Dr. Jou Philippines on Facebook and follow @drmoritaph on Instagram to get the latest updates on Dr. Morita products. Good to know andito sila sa PH and easy to buy at Watsons �� I love this review thanks so much. Lately am into face mask kasi i can see na mas nag age face / skin ko sa real age.